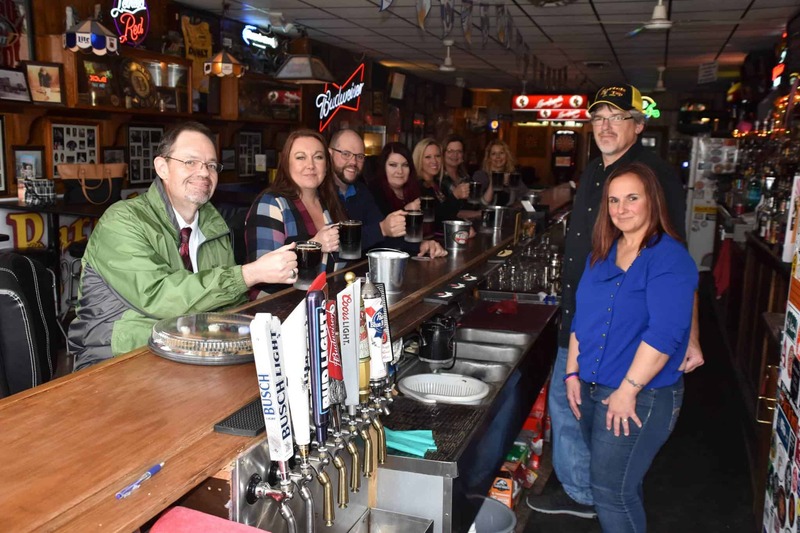 Jim and Rhonda Bartels took Ownership of the former Bob’s Pub in 2009. Located at 1012 17th Ave, Monroe They have not skipped a beat. They still serve warm peanuts and even warmer greetings. In True Bartels Fashion, Jim and Rhonda welcomed us with Frosty mugs of Root Beer when we stopped in to present them with the Ambassador Surprise Cookie Patrol and The Chamber member of the Month. They Just Wrapped up their 6th Annual Justice For a Cure Fundraiser. and continue to great things for the area all year round. Major Supporters of Cars on the Square and Concerts on the Square and many other events we all enjoy! Stop in Monday-Saturday after 2:00 pm and check out a great business to support. Meet Jim and Rhonda for yourself.